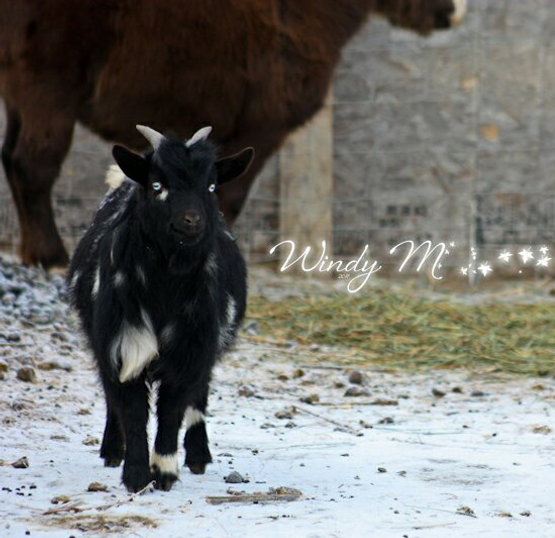 WindSwept Is also a small Nigerian Dwarf goat operation. Our stock is fullbred, but not registered. We will have a few kids available throughout the year- watch our website for sales! 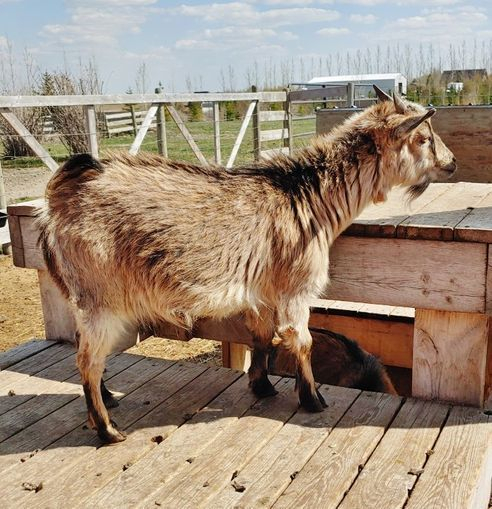 Teddy is a March 6 2015 pygmy Wether. He was a bottle baby who stole our hearts. 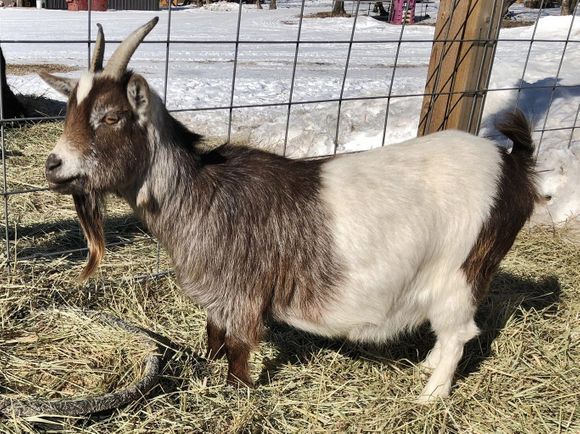 2017 Nigerian Dwarf buck. This blue eyed, splashy boy is our new herd sire. We cannot wait to see what he will produce with our variety of beautiful does! **Apollo's first kids have hit the ground, and we are thrilled! 2013 Nigerian Dwarf Doe. 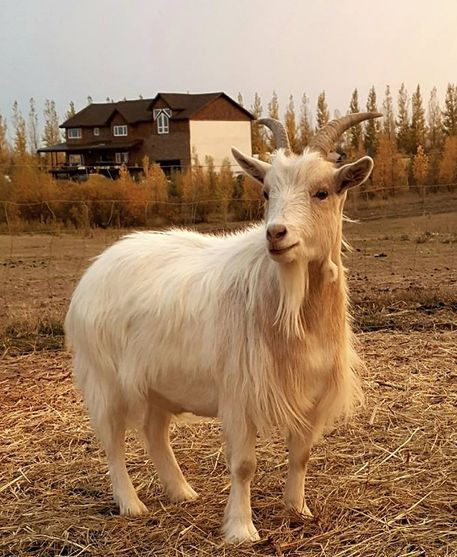 Lulu is the prettiest girl, and a wonderful mother. She has always produced gorgeous kids. March 13, 2017 Nigerian Dwarf doeling- from twins. This is a dream come true doeling! Colorful and blue eyes! 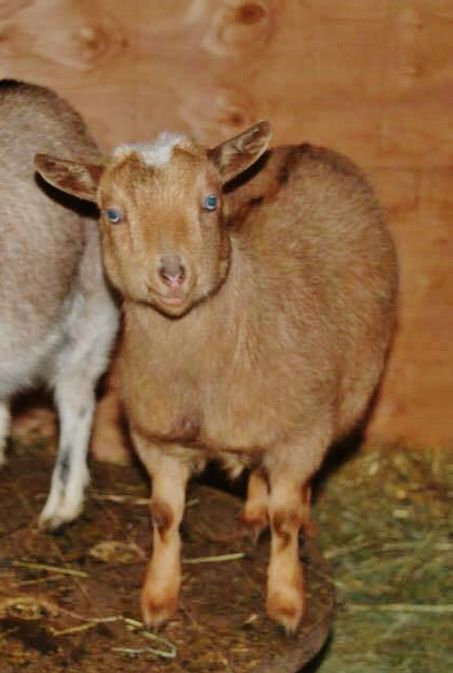 March 2017 Nigerian Dwarf doeling - from twins. 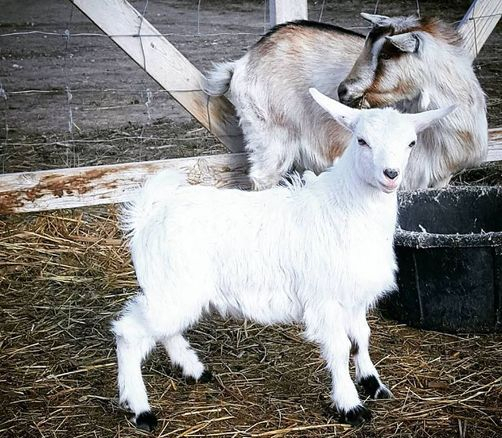 This beautiful little doeling caught my eye instantly. Very happy to have her in our small herd. Can't wait to see future babies! 2015 Nigerian Dwarf doe. Beautiful blue eyed girl who is a wonderful mother. She will be a wonderful asset to our program! 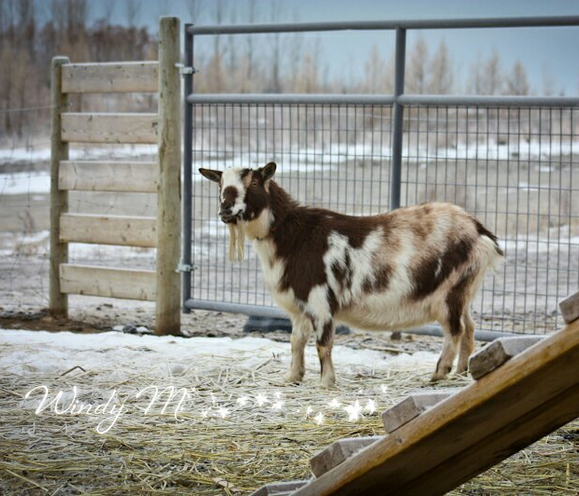 2014 Nigerian Dwarf doe- wonderful producer and wonderful personality! 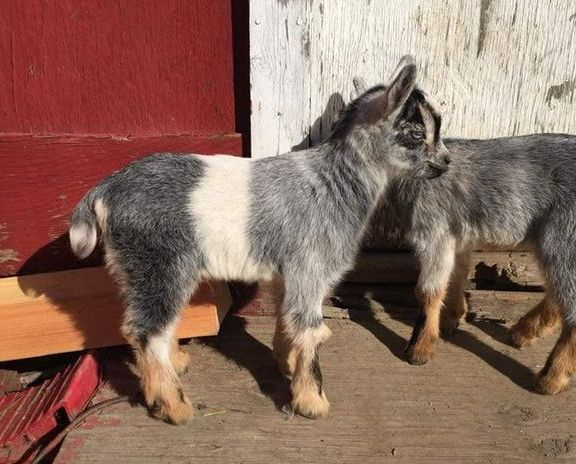 December 27, 2018 Nigerian Dwarf doeling- from Twins. Colorful, sweet little girl! !